Wolf Town Guardians – Born to walk this world as both wolf and human, these men take their role as protectors very seriously. Enjoying sensual pleasures as they please, this group of alpha werewolves are the finest when it comes to protecting their hidden settlement. It’s a good thing rules were made to be broken. Connor Bouchard is a werewolf with a huge secret. He’s mated, but he’s done everything he can to avoid claiming her. But the wolf that lives within him has had enough. 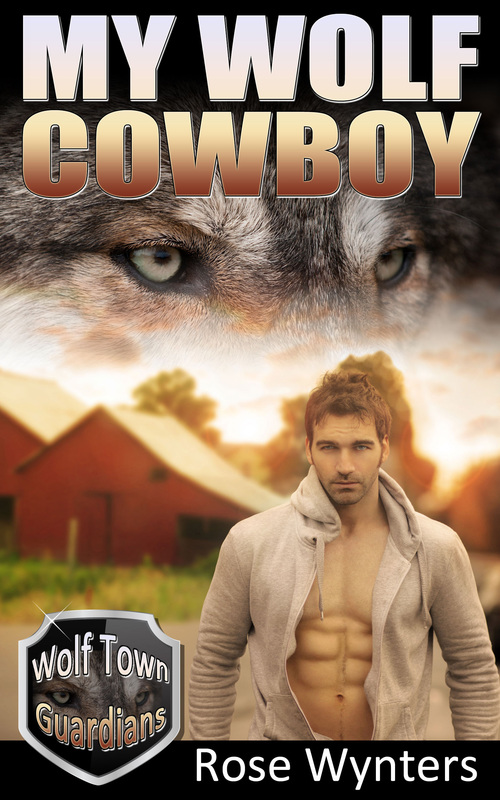 And even if it means war, this alpha cowboy will have his mate. Natalie Miller spent her entire life living on the Amish settlement in Missouri. Her world was safe… Until the night everything exploded in her face. She learns that nothing about her life was what it seemed… Even her. In a fiery blaze of horror, secrets are revealed… And an enemy of old comes back into play. Forced to accept Connor’s protection, Natalie refuses to indulge in the attraction that lies between them. She didn’t count on the heat, though. It burns within her as she craves a satisfaction that she never needed before. Natalie finds herself wanted by two men, both of them willing to fight to the death to have her. Only one of them is destined by fate to have her, though. Connor has to seduce her, the sooner the better. The full moon is quickly approaching, his opponent determined to possess his mate. Can Connor tame this wild filly before it’s too late? “Thank you, Connor,” Natalie said, her voice trembling. She was touched by his gift, more so than words could say. Overcome by it all, she surprised them both when she hugged him. His arms wrapped around her quickly, holding her tight. A long moment passed, and then another. In her mind, she fit perfectly within the shelter of his arms. She wondered if Connor felt the same. Natalie jerked away from Connor. She was mortified by the other man’s words. Peeking past Connor’s large frame, she saw a large Native American male standing about twenty feet back. He was with a pretty blonde female who looked extremely exasperated. He had to be another guardian, his size and demeanor left no doubts in her mind to his identity.